I finished this bouquet on the morning of the fair! 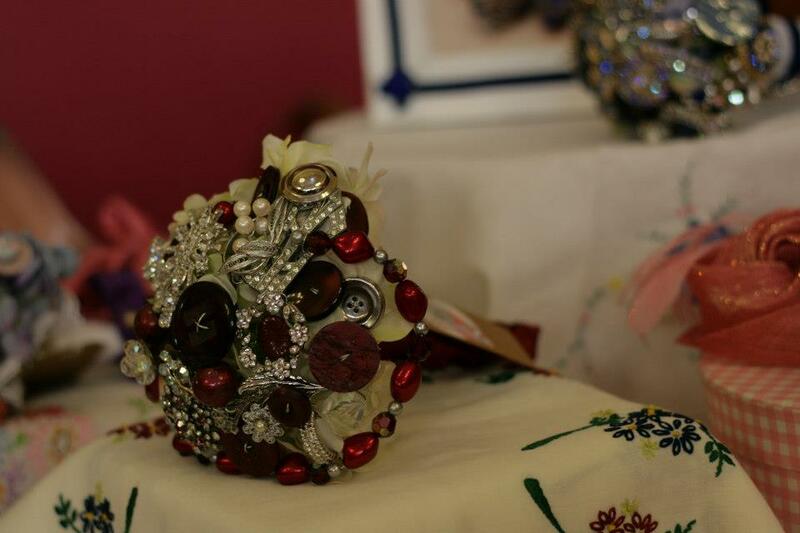 I first came across brooch bouquets when planning my wedding which after nearly two years of meticulous planning finally happened in January of this year. As with most things, it was the wife-to-be’s fault that I had to wait that long! It was the first Saturday the venue had free for 18 months and that meant a winter wedding. I can still remember standing in the venue for the first time. Whilst my long-suffering partner quietly but assertively booked the first available slot a mere 543 days into the future I did what any girl in my position would do. I had a meltdown. As we got in the car I still couldn’t get over all the black dots mocking us on the wedding ‘calendar’ so helpfully provided by the venue, small evil dots signifying some other lucky couple had got in before us. I mean, was a January wedding really a good idea? What if it snowed? (It did in fact snow the day after). My other half’s answer, accompanied by a cheeky smile was simply ‘I just picked our wedding anniversary!’ So January it was. As I was soon to discover, with a long run up to a wedding there can be a few issues. At one point I had more wedding magazines than the local shop and I couldn’t stop buying things ‘in case I could use it for the wedding’! 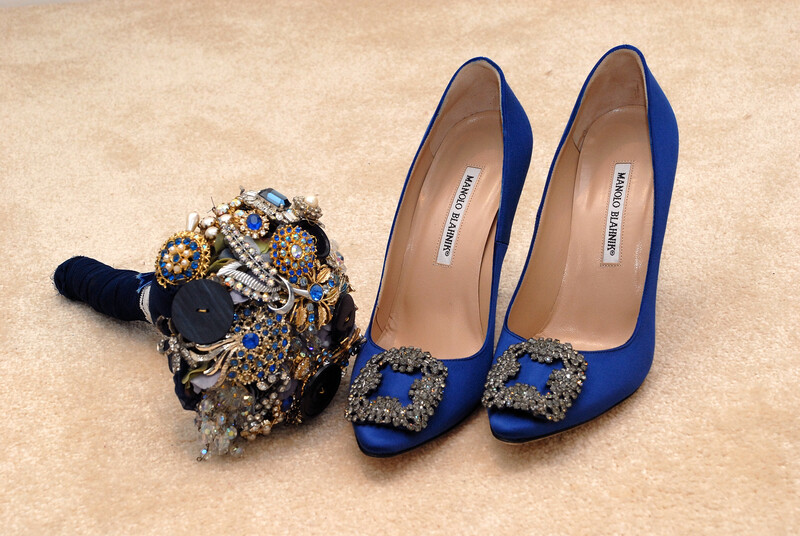 One thing I came across was brooch bouquets. I loved the idea of having something that would last after the day. Also it was a reason to buy sparkly things and a chance to say ‘It’s for the wedding I need it’ every time we went shopping. So I started the project. The result, I must say was not too bad! Along with brooches I collected over the months I used broken jewellery of my Grandma’s. It made me feel like she was there on the day with me. So when I did my first vintage fair and I took my bouquet, people liked it. I got quite a bit of interest and started making more. Word travelled and shortly after I was asked whether I would like to have a stall at a vintage wedding fair. So within two weeks I had made seven more (not ideal but a challenge!) and I was pleased with the results. Top photo courtesy of Maria Carroll and other by Ian Booth Photography. This is a fabulous idea, they look gorgeous. Thanks for the message and making my Friday.